REDUCED PRICE! 4 BR, 2 BA, One level living & 3+ stalls of garage space!! This modern home is completely remodeled and meticulously maintained! One level living at its best and move-in ready! 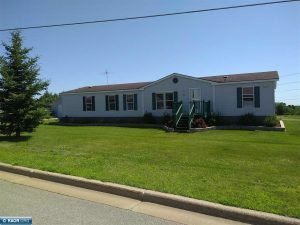 4 BR / 2 BA / 2+ stall garage w/ heated and insulated workshop & 100 amp power / Additional 1+ stall garage / RV parking space w/ 30 amp outlet / 3 decks (1 covered entryway) / Yard barn / New windows, doors, Kraftmaid cabinets, flooring, appliances, central air & more since 2010! All this on a beautiful 2/3 acre lot! Don’t miss out on this fantastic property! Many items on the property are available and negotiable.